Evergreen groundcovers create a healthy, green and inviting garden. Weeds have less chance of taking over in a garden with lots of these little gardener’s friends. That means: less weeding, more relaxation! Bare soil is simply an invitation to weeds. But you can largely discourage them by planting groundcovers. These are quickly spreading perennials that will soon form a green carpet of plants so that weeds can’t get the light and space they need to grow. In the winter, evergreen groundcovers don’t lose their leaves as do other low-growing garden plants. 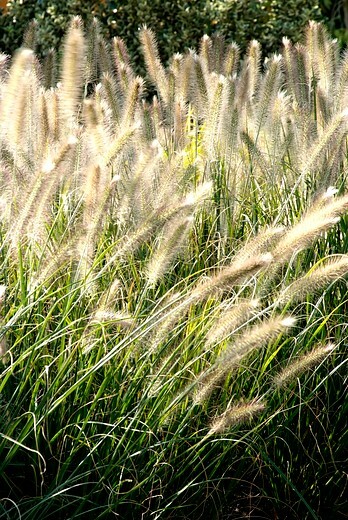 This makes your garden look attractive all through the year. Paving materials out, evergreen groundcovers in! A garden featuring many evergreen groundcovers is both beautiful and functional. In an unpaved garden, rainwater drains off through the soil faster than it would in a paved garden. So little gardener´s friends will result in fewer puddles after a real downpour. 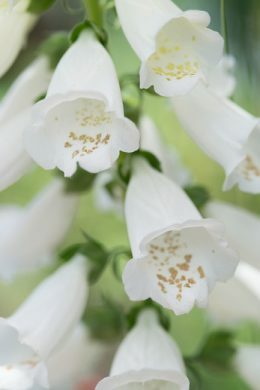 Plants also help to purify the air and to cool the garden in the summer. And a green environment is good for you, too. It’s no wonder that we head for a natural environment when we want to relax. Evergreen groundcovers are perfect for creating planting beds with crisp contours for a contemporary look that requires little maintenance. Fill each bed with a quickly spreading species such as Dwarf Periwinkle (Vinca minor), one of the most familiar evergreen groundcovers. Other quickly spreading evergreen groundcovers include Barren Strawberry (Waldsteinia ternata) and Barrenwort (Epimedium) varieties. Evergreen groundcovers are far from being shrinking violets. So don’t be afraid to combine, intertwine and mix them as much as you want. 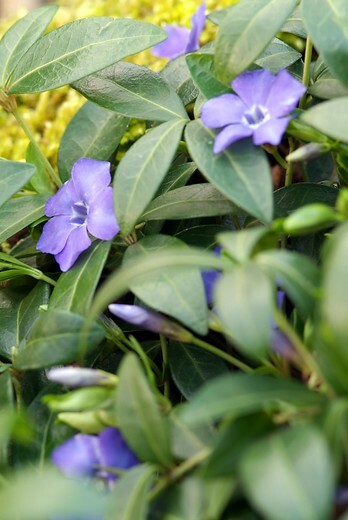 You could have ivy (Hedera) and Dwarf Periwinkle (Vinca major), for example, growing through each other. 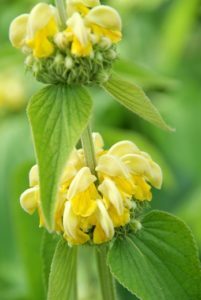 Or what about experimenting with Hardy Jerusalem Sage (Phlomis russeliana)? For a natural look, you could plant little bulbs that naturalise easily such as snowdrops and daffodils among evergreen groundcovers. Begin by clearing the weeds: work the soil thoroughly and remove all the weeds you can see. Then plant the evergreen groundcovers. 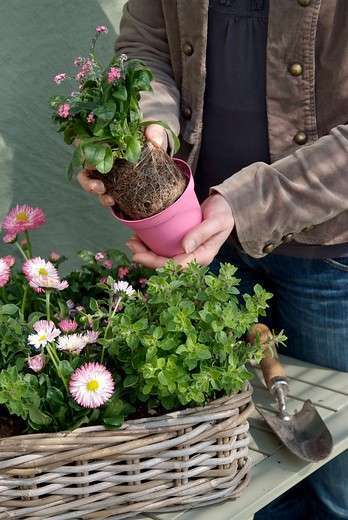 To get your plants off to a good start, add some compost or organic fertiliser to the soil. 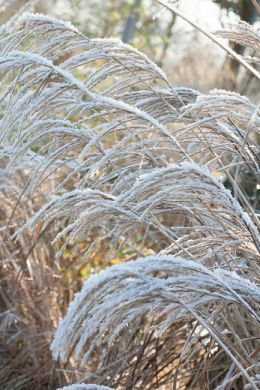 Certain ornamental grasses can also serve as evergreen groundcovers. 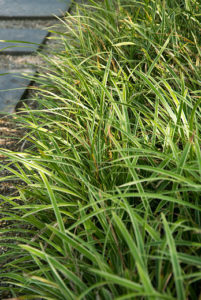 Good examples are Japanese Forest Grass (Hakonechloa macra) and sedges such as Carex morrowii and Carex oshimensis ‘Evergold’. 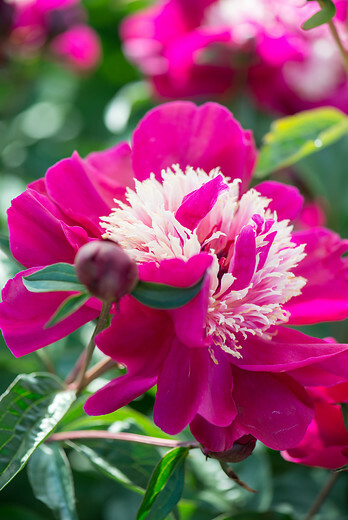 These perennial garden plants provide the garden with movement; even a slight breeze will make them sway. 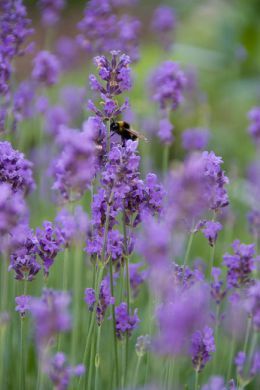 Would you like to attract bees and butterflies to your garden? Then add other kinds of perennials that are covered with flowers such as Catnip (Nepeta) and Cranesbill (Geranium).